Well, google made this move a bit more rushed than I would have liked, but their discontinuation of the publish via (S)FTP option has forced me to move to blogspot. I'd like to thank David at negative273 for many years of worry-free hosting. The new blog url is http://mntathos.blogspot.com/. Plus, a heads up: I may soon start using this site as a bit of a travel log, as I'll soon be off to Austraila and New Zealand to see the sights and inquire what the current state of dingo-infant relations is. Every year around this time, as Emmy season comes and goes, I'm asked the same question: would I do a hat-driven award for headwear on TV? Well, the answer has been, and will continue to be, "No". And also, "why are you looking at me that way?". However, this year I thought I'd throw a proverbial bone to you, the reader, and share what I consider to be the most hat-centric hour of tv I've ever witnessed. It's a standard Batman two-part episode arc, as the caped crusader fights a lesser known, hat-themed villain. 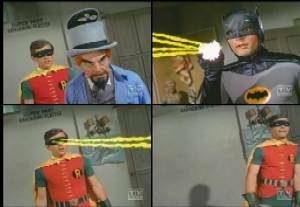 To pique your interest, here's a picture of Batman using his Anti-mesmerizing Bat-reflector to deflect a beam from the Super Instant Mesmerizer, with disastrous consequences for Robin. 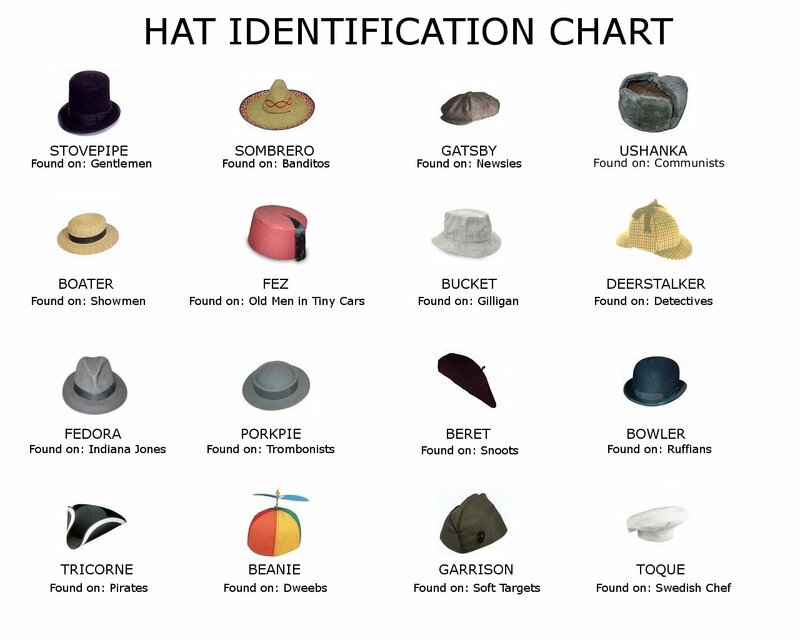 If you know of anything more hat-centric, you know where to find me. unfortunately I couldn't find the version I actually saw, where the old lady starts off very sad because she missed her bingo opportunity (bingoppurtunity?) I'm sure you can imagine her devastation, though. That's right, Google caused our economy to fail. Youtube is the reason your father lost his job. Picasa is why your kids are fat. But a rebranded MSN search will make it all better. Kif Kroker - Captain, may I have a word with you? Captain Zapp Brannigan - No. Kif Kroker - It's an emergency, sir. Captain Zapp Brannigan - Come back when it's a catastrophe. Captain Zapp Brannigan - Oh, very well. Copyright © 2005 Lucas Fox.